Kansas City Chiefs quarterback Patrick Mahomes threw for 478 yards and six touchdowns in last night's game against the Los Angeles Rams at the L.A. Coliseum - and somehow still lost. 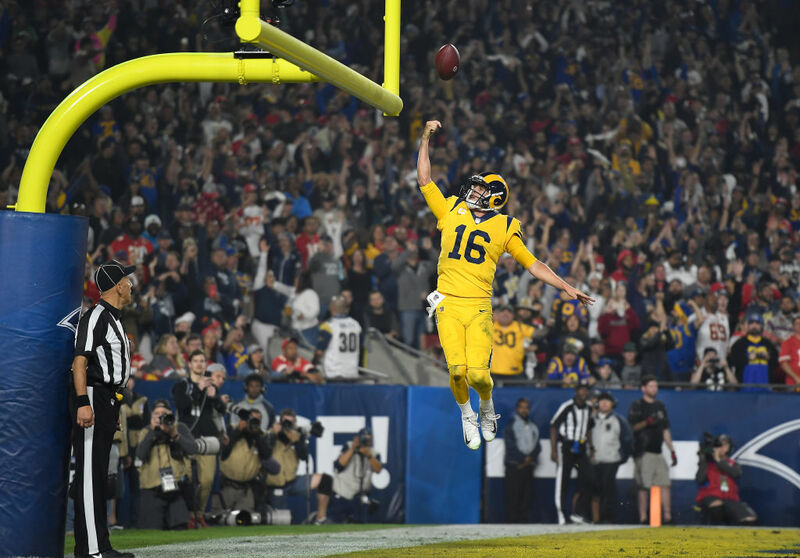 The highly anticipated showdown between the Chiefs and Rams lived up to the "game of the year" hype and then some, as both teams combined for 105 combined points, much more than the over/under point total of 64. According to ESPN Stats & Info, last night's game was the first in NFL history in which each team scored 50 points, and the 105-point total marked the third-highest total ever for an NFL game. It was also the first time that a team scored 50+ and didn't get the win, ending a 216-game streak. According to ESPN, Mahomes became the first QB to throw six TD passes in a Monday night game, but was also the first with five passing TDs and five turnovers in a game since Gus Frerotte in 2000. In total, there were 14 touchdowns scored last night, which is one more than the Buffalo Bills have scored all season, according to ESPN. Both the Rams and Chiefs will have a bye in Week 12. The Rams, 10-1, will take on the Detroit Lions when they return to the field on December 2, while the Chiefs, 9-2, will take on the lowly Oakland Raiders. Check out some highlights from the NFL game of the year in the posts embedded below.